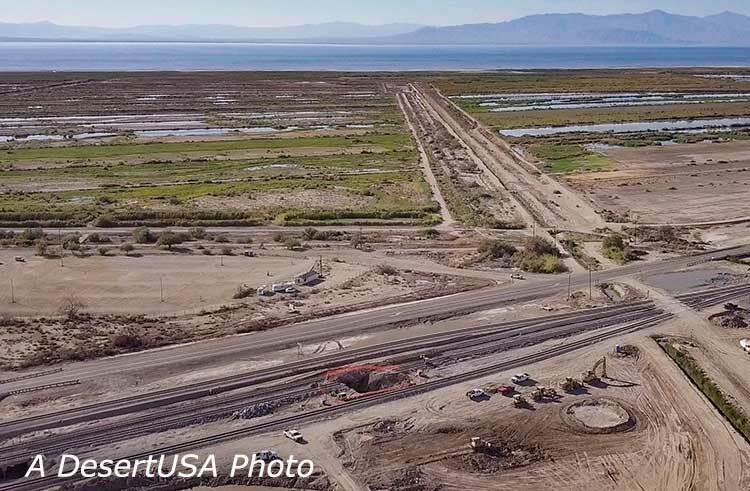 On the move to Highway 111 - Will it get to the Salton Sea? 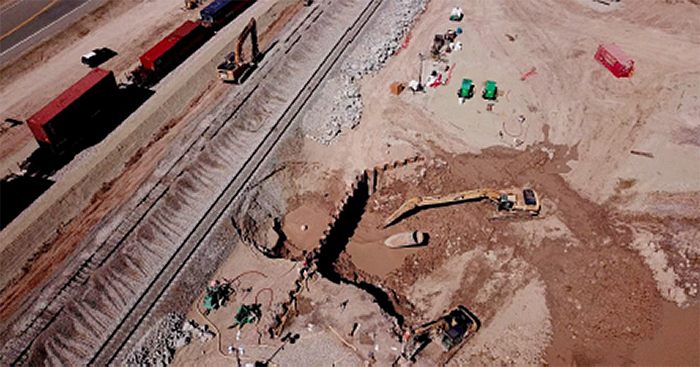 Dubbed the “Slow One”, a mud pot five miles northwest of Niland, California is making history. The Niland Geyser, an odiferous, bubbly mud pool, first appeared in 1953 and was a typical, stationary mudpot until some time around 2007 when it began to move westward. Its progress was slow at first, but since April of 2018 it has grown increasingly mobile and now has moved 240 feet from its original site, leaving an unstable wet swath of ground behind. The Slow One is now perilously close to Highway 111, the Kinder Morgan petroleum pipeline and Verizon’s buried fiber-optic cables. It has already disrupted Union Pacific’s railroad tracks. Mud pots are not unusual in thermal areas, places where heated water and gas bubble up through underground cracks and crevices, warmed from the Earth’s hot interior. The water and hydrogen sulfide gas combine to form sulphuric acid, which breaks down the rock into the stinky mud, while escaping carbon dioxide bubbles up. This mud pot is not particularly hot though, measuring about 80 degrees. In addition, it’s emitting much more water than most mud pots, about 40,000 gallons a day. Experts are now calling it a mud spring. In June of 2018, Imperial County declared an emergency for the area. Efforts to contain, drain, or otherwise stop the migrating mud spring have proved fruitless. 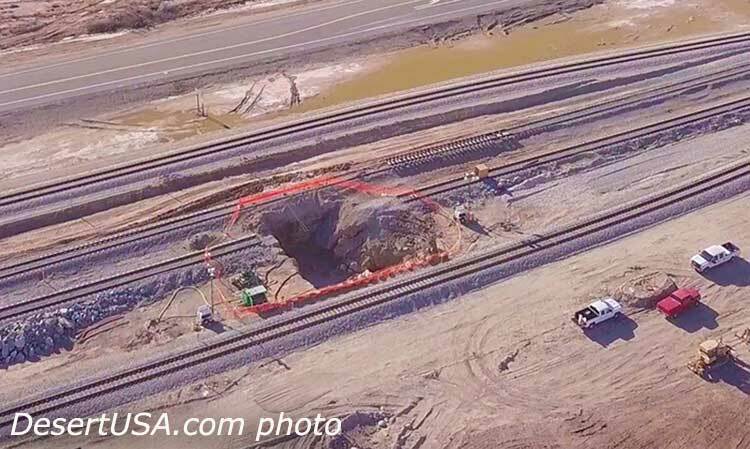 Union Pacific attempted to build a wall, digging 75 feet down to stop the mud spring, but it bubbled underneath and past the barrier. The rail line has created a temporary alternate track, a Shoofly, to route around the muddy pool. If it gets close to the 111, traffic will have to be rerouted.